National logistics provider Jenkins has committed to investing £17 million in a new custom-built warehouse at the Port of Liverpool. Jenkins, who specialise in paper, pulp and forest products, have reached an agreement on managed services with Peel Ports at Liverpool and London Medway in a bid to increase traffic at both locations. Brabners is delighted to have assisted Peel Ports on various aspects of this transaction, which is an important development for the city of Liverpool. Jenkins have secured 500,000 sq ft of warehouse space, 300,000 sq ft of which will be used to operate a bespoke state-of-the-art paper and pulp facility. Having been a tenant at the Port of Liverpool for over ten years, this expansion will allow the logistics specialist to significantly increase its throughput in the city. Construction of the warehouse is set to begin later this year and completed in 2020. 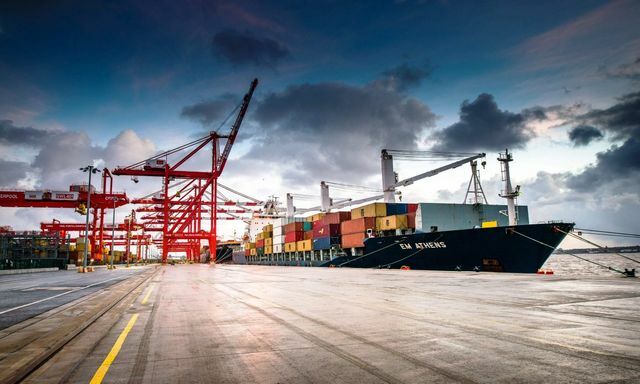 This is another boost to the continued business growth at the Port of Liverpool, particularly following the news that the world’s top five shipping lines will now operate routes out of the Mersey after Peel Ports secured a deal with Chinese giant COSCO Shipping earlier this week. National logistics provider Jenkins has committed to a £17m investment at the Port of Liverpool, securing more than 500,000 sq ft of warehouse space.